CLEVELAND, OH (WOIO) - Three people have been arrested in connection with an apparent armed robbery at the Krush Clothing store on West 9th Street. It's the second time in just more than two months that a store owned by the same person has been the focus of police action. Cleveland Police responded to a call of shots fired at about 7 p.m. Monday to the Krush Clothing store at 1360 West 9th Street, when they arrived they learned that suspects may have been inside the store with guns. "It's a little eerie just to walk by and see bullet holes in a door that you walk by every day to get to work. It makes me feel a little uncomfortable," said neighbor Sydney Bolek. "It three repetitive shots, 'boom, boom, boom' and it was very loud and then when I looked out the window I was able to see folks running through the parking lot trying to take cover behind street signs and poles," said Andrew Kleutghen. Kleutghen lives near the scene and saw the whole incident unfold. When he learned that there were two police incidents at stores owned by the same person in just more than two months, he said, "something's up. There must be something else going on." One of the employees, who says he was inside the store when the bullets started flying was Mahmoud Abdelhaq. He said he was treated more like a suspect than a victim. "I was just hiding I'm hiding I have no idea what's going on I just called the cops and then I come out and I get thrown in the car," said Abdelhaq. "We didn't like how we got treated. That was messed up, like I'm a victim you shouldn't be able to treat me like that." The Cleveland Police Department's gang impact unit arrested a man with a lot of money in a backpack not too far away from Krush Tuesday night. Police also said that employees inside the store had conflicting stories about what had happened. Police said they executed a search warrant and seized one gun from inside the store and another from a vehicle outside. Cleveland 19 asked CPD about Abdelhaq's allegations he was treated improperly. "Officers were on scene there investigating a violent crime. They did obtain a search warrant for the property, and they executed that, not to mention that it's not uncommon for people who claim to be victims to actually become suspects," said Sgt. Jennifer Ciaccia. She said that a red flag for officers on the scene were that people inside the shop gave conflicting statements as to what happened. She said that she was confident that no matter who officers were dealing with or where, they would have acted the same. 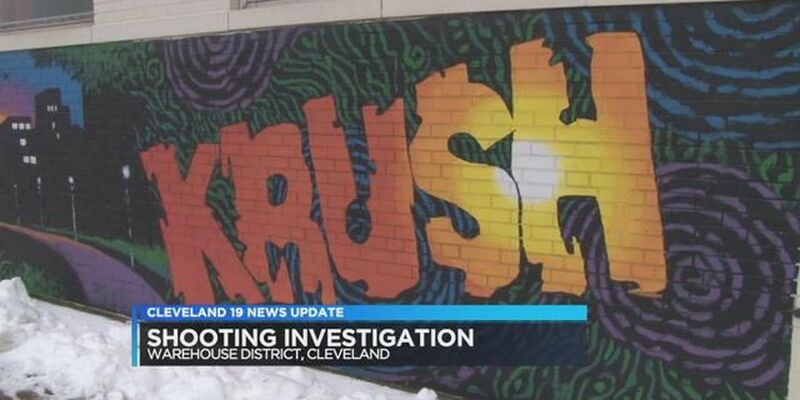 Earlier a manager at Krush clothing's Euclid location told Cleveland 19 that no one affiliated with Krush would speak to the media because they don't want their customers to be afraid to shop there. This is at least the second time a Krush clothing store has been the focus of a police action. In December 2015, Euclid police arrested two men for armed robbery of that store. The Euclid manager said Tuesday that despite there being two incidents in about two months, he didn't think the stores were being targeted. CPD said at this point they can't say for sure if the two incidents are connected, but the department's gang impact unit is looking into it.